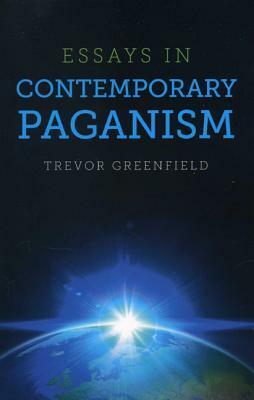 Synopsis: In this absorbing anthology twelve Pagan writers from across the globe offer a unique perspective on Paganism today in both its theoretical and practical aspects. Each writer began with a blank canvas, other than their essay must reflect a contemporary theme. In turn the essays are philosophical, practical, personal and reflective, with issues ranging from parenting to polytheism, from being a Pagan in London to the sacred landscapes of Australia, from mysticism to the World Wide Web. In their breadth these essays reflect a concern with living in a modern world, with modern technology and with understanding oneself within a tradition that is evolving and adapting to meet the needs of its adherents whilst staying true to its fundamental principles. Review: I don’t usually read books on general Paganism anymore, but two of my friends had essays in this anthology and to support them I decided to go ahead and get it. I’m very glad I did. The essays are not long, the whole book took me 1.5 hours to read but the snapshots I got about paganism in Canada, and London were very interesting. The essay about raising a potentially Pagan child was very well written and thought out, the one on polytheist psychology is something to chew on, and ending the book with After Paganism was a great idea. Of course I had my favourites among the essays, like the essays on Reconstructionist Druidism and Polytheist psychology but that was because the subjects were near to my special interest. I can’t say that I agree with every word in these essays, and there were moments when I rolled my eyes lol, but those were few and far between. I’d very much recommend this book! Synopsis – Werner Herzog’s 2011 film Cave of Forgotten Dreams, about the painted caves at Chauvet, France brought a glimpse of Europe’s extraordinary prehistory to a popular audience. But paleolithic cave paintings, stunning as they are, form just a part of a story that begins with the arrival of the first humans to Europe 1.3 million years ago, and culminates in the achievements of Greece and Rome. 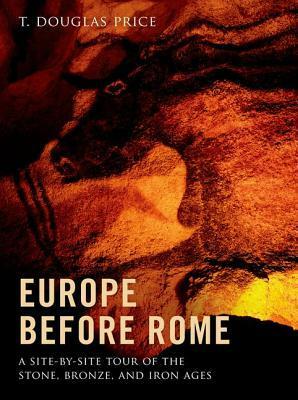 In Europe before Rome, T. Douglas Price takes readers on a guided tour through dozens of the most important prehistoric sites on the continent, from very recent discoveries to some of the most famous and puzzling places in the world, like Chauvet, Stonehenge, and Knossos. This volume focuses on more than 60 sites, organized chronologically according to their archaeological time period and accompanied by 200 illustrations, including numerous color photographs, maps, and drawings. Our understanding of prehistoric European archaeology has been almost completely rewritten in the last 25 years with a series of major findings from virtually every time period, such as Otzi the Iceman, the discoveries at Atapuerca, and evidence of a much earlier eruption at Mt. Vesuvius. Many of the sites explored in the book offer the earliest European evidence we have of the typical features of human society–tool making, hunting, cooking, burial practices, agriculture, and warfare. Introductory prologues to each chapter provide context for the wider changes in human behavior and society in the time period, while the author’s concluding remarks offer expert reflections on the enduring significance of these places. Tracing the evolution of human society in Europe across more than a million years, Europe before Rome gives readers a vivid portrait of life for prehistoric man and woman. Review – This was an interesting and delightful book to read. Basically, the author took me with him on archeological site hopping tours. At the beginning of each tour he gave me an explanation where, what, and who we were going to visit. In this book you may choose to read the explanatory chapters then choose whichever sites may interest you, or you may read the book cover to cover. I read it both ways and see myself going back to read specific entries at a later date.